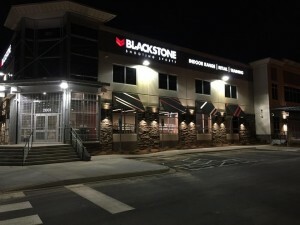 Blackstone Shooting Sports is a new Indoor Shooting Range and Retail location in Charlotte, NC. It’s using the very best range equipment and a new layout for selling guns. It’s going to turn every Gun Shop Stereotype on it’s head. The name Blackstone has some history to it. It’s named after Sir William Blackstone. Don’t know who he is? Our Founding Fathers did. Robert Ferguson notes that “all our formative documents – the Declaration of Independence, the Constitution, the Federalist Papers and the seminal decisions of the Supreme Court under John Marshall – were drafted by attorneys steeped in Sir William Blackstone’s Commentaries on the Laws of England. So much was this the case that the Commentaries rank second only to the Bible as a literary and intellectual influence on the history of American institutions”. Sir William Blackstone should be studied by our current Government Officials. Blackstone’s influence on the second amendment can not be ignored. 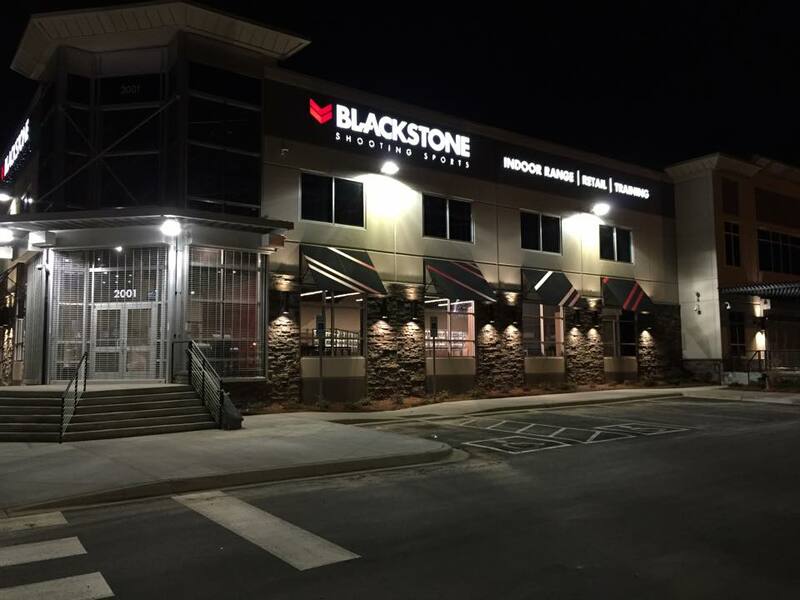 Blackstone Shooting Sports aims at being just as influential on the future of the second amendment. This is why my postings have been rather sparse lately. This is why I moved to the Charlotte area… to be a part of Blackstone. Ferguson, Missouri. Here’s my take on the situation. The Media is all over how the Police are too Militarized and are too heavy handed. True. And frighteningly so. However, take a look at the other side of this. We have a complete breakdown of society that happened within just hours. People were upset about a Police Shooting… So the response of the people there was to flip over vehicles, burn down buildings, and loot everything that wasn’t under armed guard. In their own town, in their own neighborhood, to their own neighbors. They are doing this to themselves. I’m sorry, but that has got to be contained and stopped, like firefighters fighting a wild fire. With what I’ve seen in the many videos of the rioters and what they are doing – I think the Ferguson Police were doing it right. A big show of force that communicated “This stops here”. Then they went and jumped the shark as that power went quickly to their heads and became part of the problem themselves. This is a situation that needs to be evaluated in great detail as to how it proliferated from protest to pure chaos. We need to see the stages and the signs and we need to break this down into lessons we can learn from. This is Prepper School Fodder right here. Civil Unrest is a reality that moves just as fast as a fictional Zombie Uprising. We use Zombie Uprising as an analog for Disaster Training… but guys, I’m telling you. You just saw that happen in Ferguson, MO. There’s your Zombie Uprising, so don’t tell me Zombies are not real. Because that situation in Ferguson is very real. And if it can happen there, it can happen anywhere. It can happen where you live. So we need to think about that. Break that down. Look at where you live. Imagine that situation in YOUR TOWN. Ask Your Self some questions. 1. Where would it most likely happen? 2. Can you Button Up and Hold Out, or will you need to Go Mobile? 3. If you need to Move Out, then what is your movement plan? 4. What is your Destination? 5. What are your Preps for that? Moving or Holding. 6. Who is in your Group to back you up and what is their Readiness? You need those answers NOW. Because looking at Ferguson, you don’t have time to make the preps when things start to happen. You only have time to execute your plans. I know a lot of Firearms Instructors. Let me rephrase that… I know a lot of excellent Firearms Instructors. One of the best, and one that I am proud to call a Friend, is Daniel Shaw. You may know him from GUNFIGHTER CAST. Daniel spent a lot of time training US Marines to be better Marines. 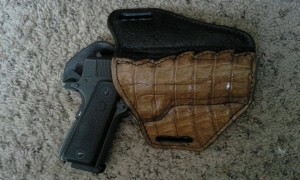 He has translated his Military experience into a very good practical approach to Self Defense with a Firearm. This isn’t a regurgitation of other training, this isn’t rehashing of other training programs. This is a fresh and new approach without hype, and without fanfare. Daniel is very easy going, none of that over the top bravado that some trainers have… Outside of Training, He’s one of the best guys I know. You are going to enjoy this training program, you are going to learn a lot from this program, and you will be glad you got it. I’ve been watching it and it’s fantastic. I look forward to taking one of his courses in person one day. There are two parts and each is only $5.56. That’s less than lunch a drive through.